Cherries blooming earlier and in record numbers in B.C. B.C. growers are expecting record number of cherries to hit store shelves by early June. B.C. 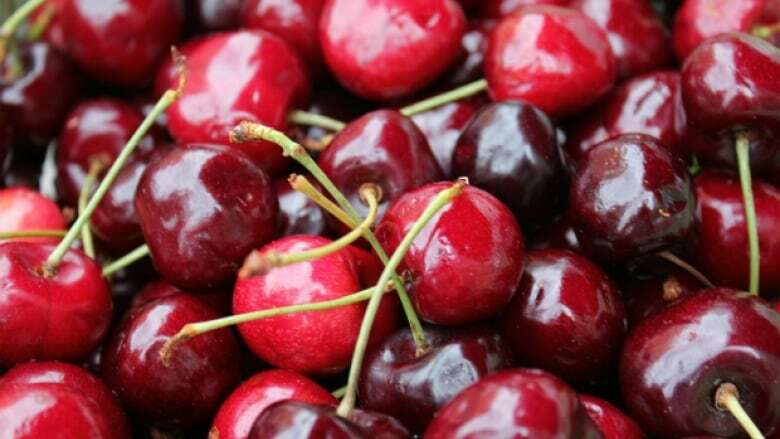 growers are expecting an abundance of cherries to hit store shelves in early June. The record-breaking warm weather in the Okanagan has meant an early bloom and a bumper crop. "We've had the earliest bloom we've ever seen here," said ​Hank Markgraf, horticulturalists with B.C. Tree Fruits, a cooperative comprised of over 500 local tree fruit grower families. The cherries are blooming seven days earlier than normal and the farmers are expecting to ship 12 million pounds this season, up from 10.5 million last year. Even though farmers don't control retail prices, the increase in supply could change the price of cherries. There is still concern that rain could ruin the crops, but otherwise the growers say they are ready to tackle the large volume. With files from the CBC's Daybreak South.